Why You Need This: There are two brake light switches on all Honda CB350 / CB360 / CB450 / CB550 motorcycles; one front and one rear. Therefore no matter which brake you use first, the brake light will turn on. 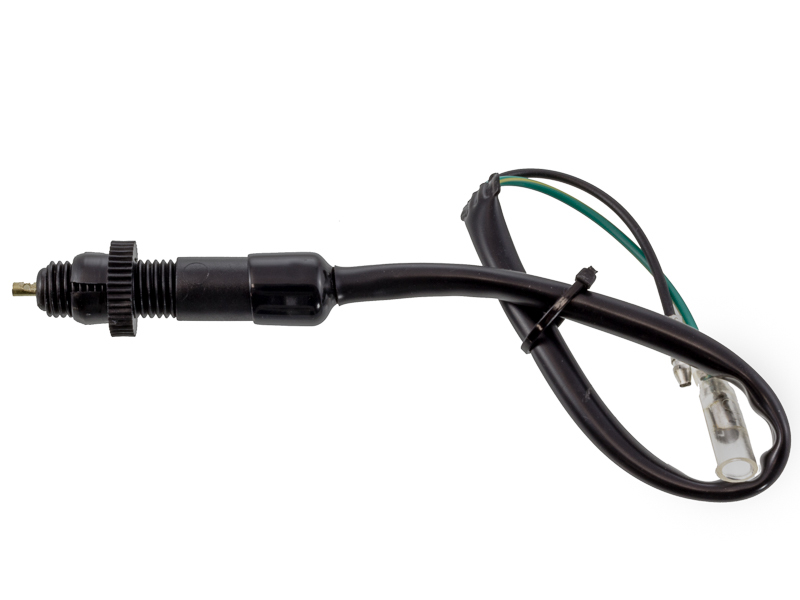 An often overlooked piece, the rear brake light switch is a simple swap and is easily adjustable depending on the brake pedal position. Switch includes wiring, but does not include the spring to connect the to the pedal. The matching front switches are available too. 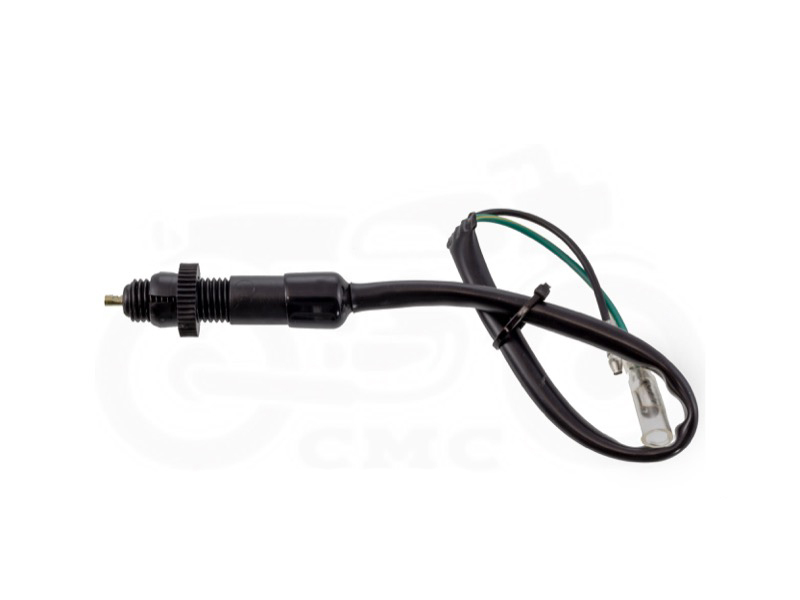 Bikes like the CL / CB350 that have a front drum brake that use a mechanical front switch, while the CB360, CB450 and CB550 have a hydraulic front switch front switch for disc brake applications. Installation Tip: This switch is often over tightened where the spring is pulling on the center pin causing the brake light to stay on. The proper adjustment is to find the point where the brake light turns on just as the rear brake pedal is being depressed.